John Cannon joined TrueNorth Capital Partners as a Managing Director based in the Philadelphia area. John possesses a broad range of global financial expertise gained through more than 30 years of experience in banking, senior corporate officer positions, and treasury consulting. John started his career with Bankers Trust in the Merger and Acquisition group where he worked on numerous M&A assignments for the bank. In 1992, John moved to Hong Kong as Vice President to open the bank’s asset finance business in Asia. In this role, he marketed and structured asset-based financing including aircraft and satellite lease financing, export credit agency financing, and securitization for corporate purchases of packaged receivables. In 1994, as Managing Director, he moved to the bank’s specialty risk management group and marketed, structured, and priced treasury risk management products and services to customers in Asia. In 1998, John moved to the corporate restructuring group. He managed counterparty credit and market risk restructuring for a $2 billion distressed Asian derivatives portfolio following the Asian currency crisis. In 2000, John joined Singer Sewing in New York as Vice President, Treasurer & Secretary. At the time, Singer was a $600 million, 150-year-old sewing manufacturing, marketing, and retailing company with 22 global reporting centers and operations in 150 countries. Reporting directly to the CEO, John directed the global finance functions of Singer N.V. as the company emerged from Chapter 11 bankruptcy. John was instrumental in negotiating the sale of the Singer sewing business and trademarks to funds managed by Kohlberg & Co. in 2005. In 2006, John joined PMC Treasury an independent treasury and risk management consultancy firm with offices in London, New York, Sydney and Hong Kong. PMC focuses on the management of treasury risk and interim treasury management for companies that were being acquired or divested by private equity firms. 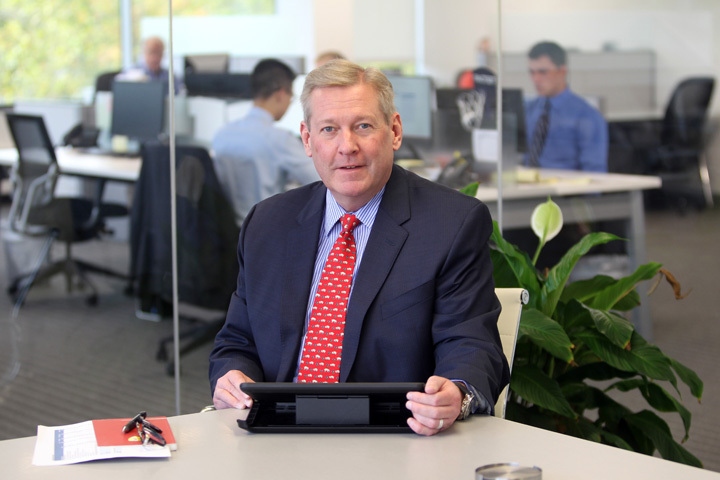 In 2012, John accepted a full-time position as Senior Vice President of Finance and subsequently Chief Financial Officer with ConvaTec- a carve-out from Bristol-Myers Squibb. ConvaTec is a global medical device manufacturer with revenue of approximately $1.8B and sales and operations in over 100 countries. John was an integral part of the management team to develop financial plans and key performance indicators to drive process efficiencies and to improve EBITDA by over 25% in two years. John graduated from Haverford College with a B.S. in Physics and Economics and earned his MBA from NYU’s Stern School. John has lived and worked in New York, Tokyo, Hong Kong, Singapore, Bangkok and Sydney. He holds the Series 79 securities license.